A little over one month to go and my new range for Debenhams will be hitting 100 stores and will also of course be available online. Cannot wait, July has seemed liked the longest month on earth! 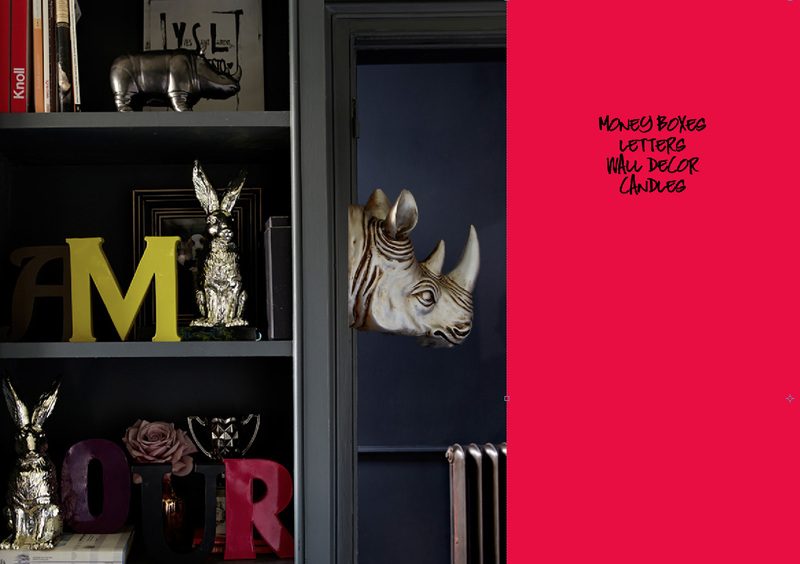 Below is another sneak peek this time featuring some of the my wall decor including this fab rhino head. I’m pretty obsessed with animals as you guys probably all know because I don’t think there is another accessory out there that instantly lifts a wall, a shelf, a table quite like an amimal. So I’ve added rabbits and smaller rhinos into the range including letters, candles, lamps, frames, art and so much more!